Hello and welcome to a fan made page of the Philadelphia based punk rock band The Loved Ones. My name is Daryl and I’m a huge fan of the band. Obviously I’m a huge fan of the band, otherwise I wouldn’t go to through the effort of making this website. Many great bands just sort of slip under the radar and you stop hearing from them. I worry that something like this might be happening to The Loved Ones, which is why I decided to setup this website, to keep the dream alive. Band hasn’t really been all that active since around 2010, and as a fan, that really makes me sad. I want them back, with a new album, or at the very least to play a new tour. As I already said, my name is Daryl, Daryl Russell. I’m just your regular 9-5 office slacker from Philadelphia. I first discovered the band back in 2008, when they would play the local Philadelphia bar and club scene. I fell in love with pretty much all their songs and their amazing live performances. Despite being your typical white-collar worker, when I’m at home I have a lot of cool hobbies like playing the guitar, playing video games, playing with gadgets like recording video with cheap racing drones, or taking a walk down to the park. I guess I’m your typical adult who still nourishes the kid inside, maybe a little too much, heh. Regardless of what people might say, I love my job and my hobbies, and I love The Loved Ones. See what I did there? My hobby is actually what allowed me to setup this website, but I don’t mean that in a good way. I was riding my awesome electric skateboard a while back and I took a tumble. It was entirely my fault. Let’s just say that I was too generous on the brakes, but still, I had to lick my wounds for a couple of days. In the downtime this website came into being. Enough about me, let’s dig into the real reason we’re all here, the band. Let’s talk first about the band history first. Band that we know today as The Loved Ones has first started taking shape all the way back in 2003. 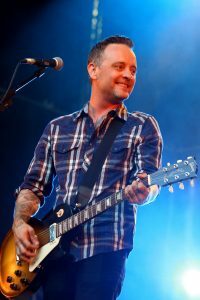 That’s when Dave Hause, bands frontman, disbanded from The Curse, one of his earlier projects. At the time that Hause was forming The Loved Ones, he was still a member of another band called Paint It Black. That band is still active today, only Hause isn’t a member. Many musicians in the punk scene are in more than one band, so it’s not so weird to see such a weird mix and match of band memberships. Anywho, you can’t have a band with just 1 member, so Hause got in touch with Micheal Cotterman, which played the bass in another band called Trial by Fire. Initial trio that formed The Loved Ones in the early years was completed when drummer Micheal Sneeringer joined Hause and Cotterman. In 2005 the trio recorded a 4 track demo and toured the Philadelphia punk rock scene as supporting acts. They didn’t do any concert show, at least I don’t think they did back then, or in general for that matter. It’s a shame really. You couldn’t get cheap video camera drones back in then, but if you could, it would be fun seeing footage of the band playing a concert venue. Watching bands play concerts is one of my favorite pass time activities. What, we all have our own thing, 🙂 . After making initial splashes on the Philly punk rock scene with their demo, band made a self titled EP which featured 5 songs. That’s the first official release made by The Loved Ones. Release was made under a relatively unknown Jade Tree records label. Bands debut album came about in 2006. It was titled “Keep Your Heart” and published by a whole new label, Fat Wreck Chords. The switch to a new record label was made when Hause worked as a roadie for “The Bouncing Souls” and met with Fat Mike, the owner of Fat Wreck Chords. Fat Mike also fronts another popular band, NOFX. They’ve been around on the punk rock scene for quite some time. During 2006 band had some lineup changes. Cotterman left the band, and two new members were introduced, Chris Gonzales on bass and David Walsh on the guitar. Even though he left, Cotterman returned to play for the band on several occasions later throughout the years. Even though they changed members band managed to complete a European tour in support of the “Keep Your Heart” album. They also toured state side, and that’s when I managed to see them play live. 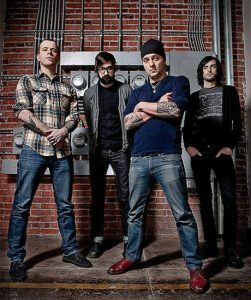 No new releases were made by the band until 2008, when they released their second full length album titled “Build & Burn”. 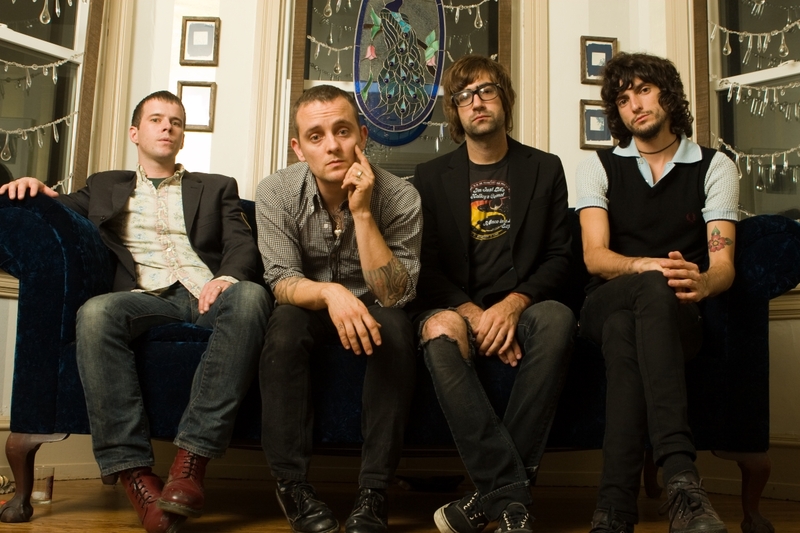 Album featured 10 new songs and was produced with the help of Pete Steinkopf and Bryan Keinlen from “The Bouncing Souls”, the same group that helped get the ball rolling for “The Loved Ones” back in 2006. New members that joined the band brought new possibilities, mainly in the vocals department. Chris Gonzales is also a vocalist, he can sing, so there were some new interesting harmonies that can be found in their second album. Since their second album, and since about 2010, the band has had very little activity, like I have already mentioned. They haven’t disbanded or anything like that. In fact, just last year the band played a couple of events to celebrate the 10 year anniversary since the release of their first album, “Keep Your Heart”, which was released back in 2006. Those who follow The Loved Ones on social media will no doubt know that band mates have for the most part been focusing on their own individual projects, and there’s very little talk about potential new shows. Maybe we, the fans can change that by showing them that there is still interest for their music. 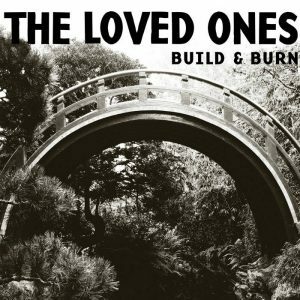 Where to listen to “The Loved Ones”? Music from the band, their entire discography can be found on their Bandcamp profile. Go to The Loved Ones Bandcamp profile, pick an album and enjoy the music. 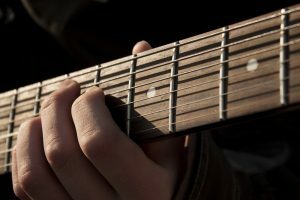 Songs can be listened for free. If you want to download them, or use the Bandcamp streaming app you need to make a purchase. There are also three music videos that can be found on YouTube, that the band made for songs “100k”, “Jane” and “The Bridge”. We’re pretty lucky to be able to find music from The Loved Ones online, in digital form, and it can even be listened for free. Many fans out there do not have this privilege, and it really is such a shame. I would love too be able to see concert footage of the band, but there’s very little of it available. Sadly when the band was at its peak, there weren’t that many RC personal selfie drones buzzing around, and the band didn’t exactly play concert venues where advanced cinematography was setup. Still, I enjoyed a couple of their concerts and the memories will always be with me. Well that’s about it, I talked a little about myself, my motivation for this website and I talked a lot about the band itself, which is how things should be. Fans of the band should checkout their Facebook profile in the right sidebar. If anything new does start happening, that’s where the band is most likely going to be posting their updates. My hope is that my work here on the website will keep the dream of the band getting back together and releasing an album, or at least playing new shows, alive. Checkout the rest of the website where I went into a bit more detail about their music, and if you want to contact me, you can do you using the contact page. Thank you and I hope to see you around.